This addition to the Advances in Psychotherapy–Evidence-Based Practice series is a straightforward yet authoritative guide to effective diagnosis and empirically supported treatments for autism spectrum disorder (ASD). "[The authors] have skilfully consolidated and immense research literature and produced a miraculously short book that is easy to read yet informative…. A very valuable reference and guidebook for clinicians serving children and adolescents who are significantly impaired by autism spectrum disorder. It will be especially useful to practitioners who are first learning about autism or to people more experienced who want a current update on the state of the field." "An excellent primer … practical, succinct, accurate, and inclusive in its review of what is current in the field. It is a book for busy clinicians … to gain an appreciation of what will help them in their everyday work with students or patients." 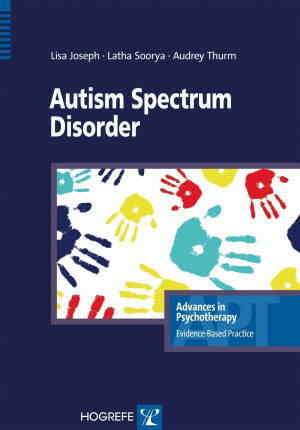 "This book provides a concise and up to date account of what is so far known about Autism Spectrum Condition/Disorder and provides a holistic account of treatment options for clinicians to consider.Overall this book would be helpful for clinicians either assessing for ASD or working therapeutically with young children/adolescents who are on the Autism Spectrum. "This installment is a thorough guide to the effective diagnosis and empirically supported treatment for autism spectrum disorder (ASD). Four main chapters explore ASD in great detail. Asperger's syndrome, Rett's syndrome, childhood disintegrative disorder, and pervasive developmental disorder are now captured under the broad diagnostic category of ASD per DSM-5. "The authors review the DSM-5 and ICD-10 diagnostic criteria, current theories and models, prevalence rates, comorbidity, as well as a well-thought out examination of the current treatments. "A much-needed, up-to-date resource on effective treatments, includingboth psychological and pharmacological."